In MOBIT their are two types of templates - SMS and MOBIT SMS. Templates can be extremely useful as they allow you to 'pre save' messages to use in campaigns. This saves you time and keeps your messaging consistent as you do not have to write your message from scratch each time; you can instead use a template or modify one of your existing templates. 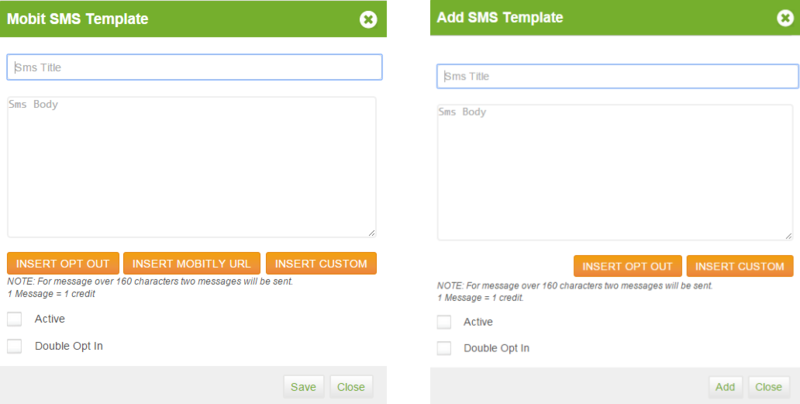 SMS and MOBIT SMS templates differ in that a MOBIT template allows you to insert an Mbitly URL. This generates a unique URL to your landing page for every contact that your campaign is sent to. An SMS template is what we refer to as a plain text SMS - you cannot insert a Mbitly URL which links to your landing page. The type of template you choose when creating a template also defines what templates are available to use when adding a send MOBIT/SMS action in a campaign. 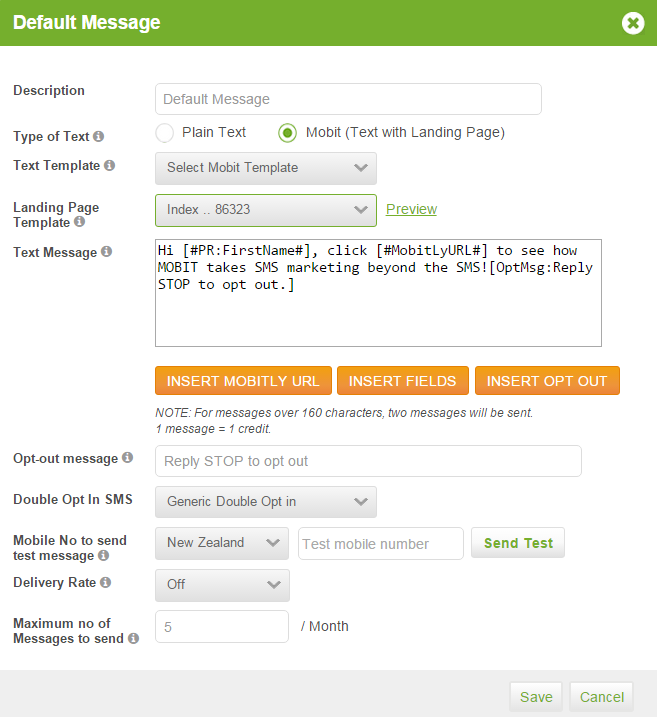 For every send MOBIT/SMS action you add, you will have to select to an SMS template and Double opt in SMS template to use. Only SMS templates will be available to choose from when you choose to send a Plain text message, and only MOBIT SMS templates will be available when you choose to send a MOBIT.